Elected to the Thirty-Seventh Parliament for Serpentine-Jarrahdale (new seat) on 26 February 2005. Electorate abolished in the redistribution of 2007. 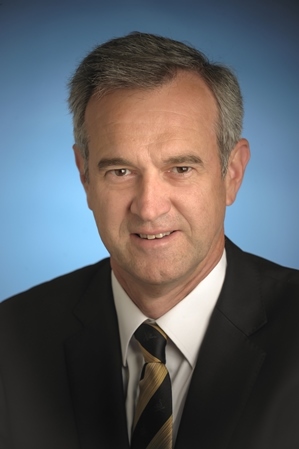 Elected to the Thirty-Eighth Parliament for Darling Range in succession to John Howard Dadley Day (successfully contested the seat of Kalamunda) on 6 September 2008. Re-elected 2013. Defeated at the general election of 11 March 2017 for the seat of Darling Range by Barry Urban (ALP). Parliamentary Secretary to the Minister for Child Protection from 23 September 2008 to 11 August 2009. Parliamentary Secretary representing the Minister for Child Protection; Community Services; Seniors and Volunteering from 11 August 2009 to 14 December 2010. Parliamentary Secretary representing the Minister for Youth from 14 December 2010 to 8 July 2011. Minister for Local Government; Community Services; Seniors and Volunteering; Youth from 21 March 2013 to 20 September 2016. Member, Joint Standing Committee on Delegated Legislation from 7 April 2005 to 7 August 2008. Member, Economics and Industry Standing Committee from 15 November 2005 to 7 August 2008. Opposition Whip from 18 June 2008 to 22 September 2008. Government Whip from 8 July 2011 to 21 March 2013. Opposition Spokesperson on Forestry from 16 March 2005 to 4 February 2006. Opposition Spokesperson on Forestry; IT and Communications from 4 February 2006 to 25 January 2008. Opposition Spokesperson on Forestry; Seniors and Volunteering; Innovation from 25 January 2008 to 23 September 2008. Born 15 July 1965, Frankston, Victoria. Arrived in Western Australia, 1970. Self Employed Baker; Local Government Councillor. The electorate of Darling Range is located in the East Metropolitan Region and includes all of the Shire of Serpentine-Jarrahdale and parts of the City of Armadale and the Shire of Mundaring; including all of the localities of Bedfordale, Byford, Cardup, Darling Downs, Hacketts Gully, Harrisdale, Hopeland, Jarrahdale, Karragullen, Karrakup, Mardella, Mundijong, Oakford, Oldbury, Piara Waters, Pickering Brook, Roleystone, Serpentine and Whitby; and parts of Bickley, Canning Mills, Carmel, Forrestdale, Kelmscott, Keysbrook, Mount Richon, Piesse Brook and Wungong. Enrolment (9 March 2015) 30,854; area: 1,594 sq kms.